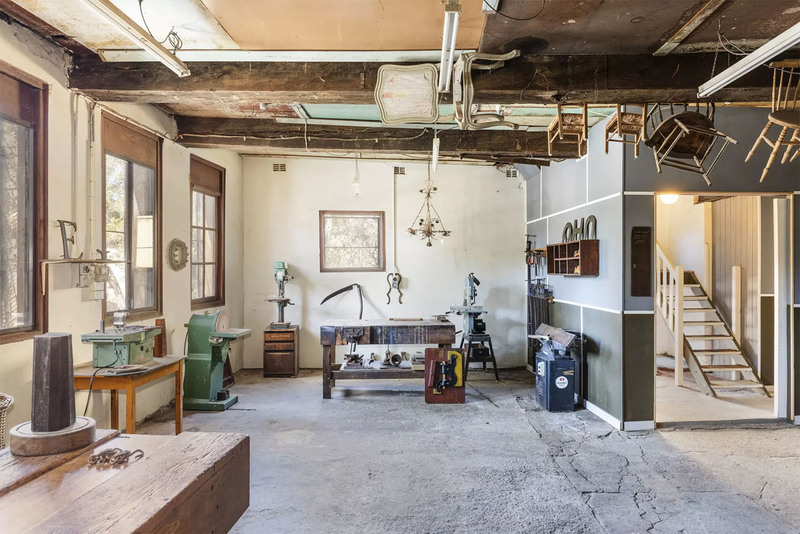 History is etched on the walls of this warehouse in Sydney’s vibrant Newtown neighbourhood. 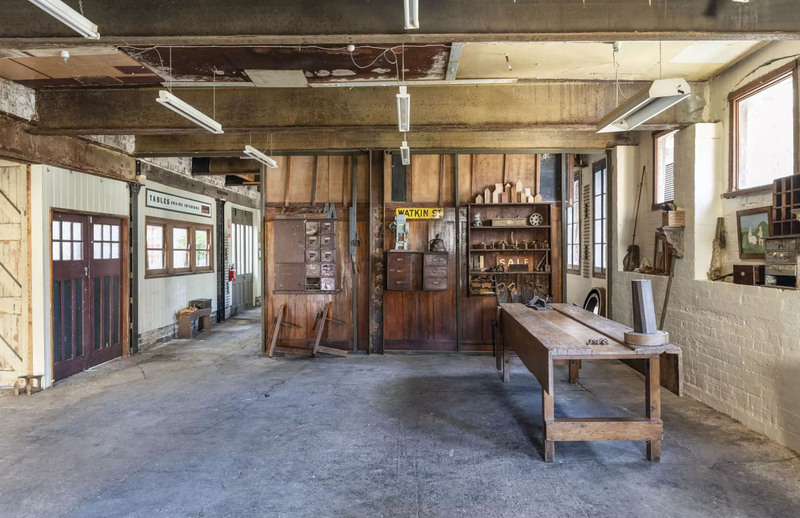 Originally a bakery, 2 Henning Lane has been a working upholsterer’s and antiques workshop for the last three decades. 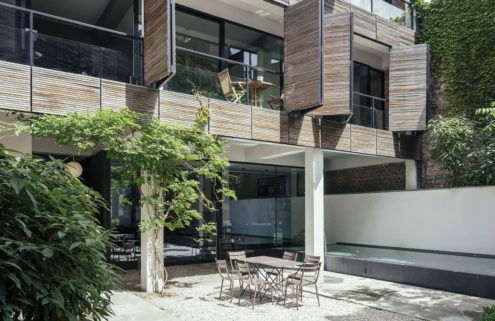 It is now on being auctioned via BresicWhitney with a guide price of $3.3m AUD on 13 October and has recently been given consent for conversion into a home. 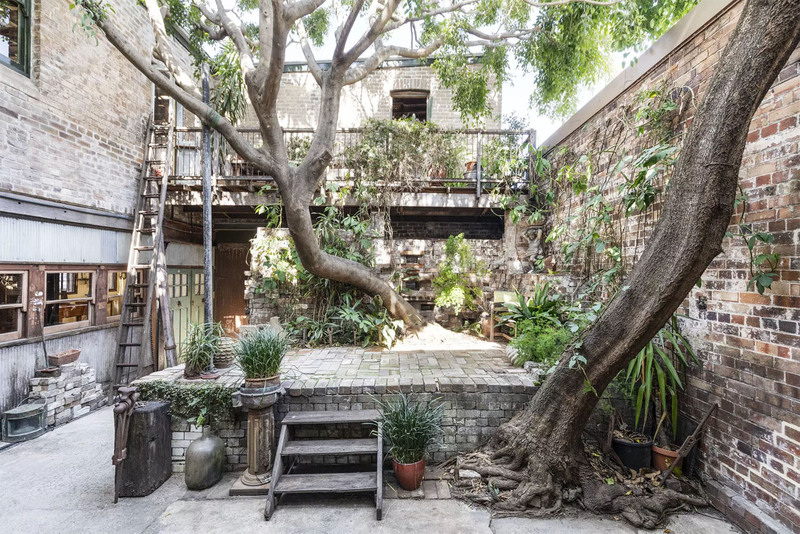 The 4,360 sq ft warehouse sits on a quiet street in the area, which is known for its independent bookstores and bars and thrift stores. 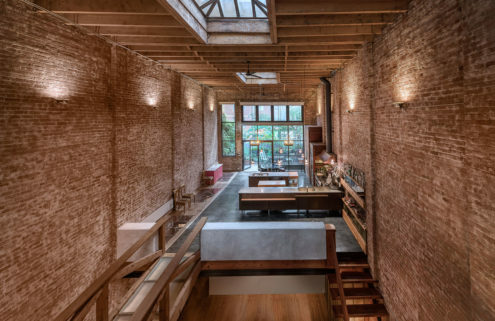 It has painted brick walls and exposed steel and timber beams. 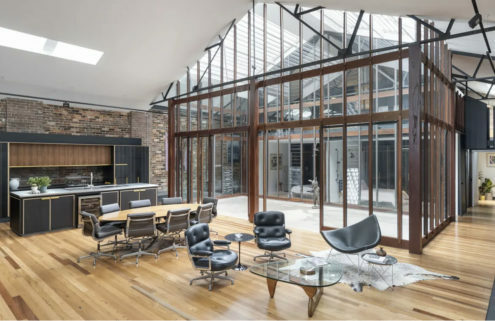 Skylights flood the interiors spaces with light – essential for delicate repair work – while the top floor has a wall of windows set at tree canopy level. 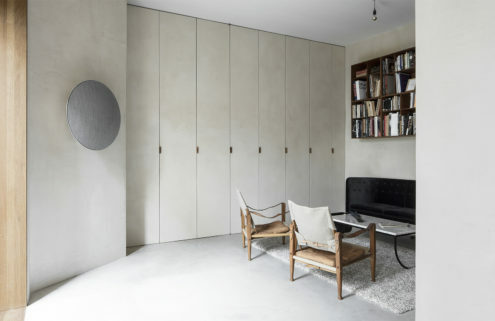 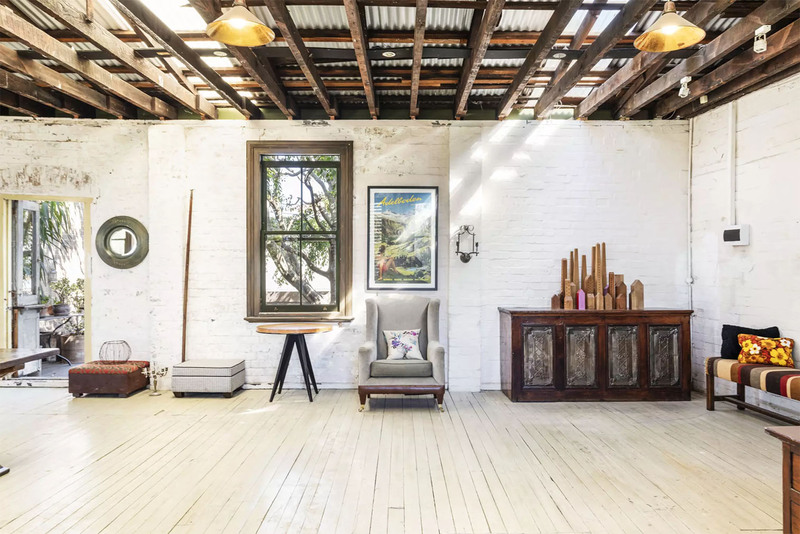 The Sydney property, which could be used as a live work space and has existing commercial rights, also retains its original barn doors as well as polished and painted timber floorboards.